6 lenses per box @ $28.30 per box. Minimum order 2 boxes. Johnson & Johnson claim this lens is so comfortable that 8 of 10 lens wearers actually forget they are wearing them. 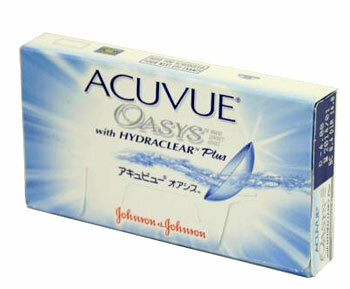 This is thanks to Hydraclear Plus, the latest generation of Johnson & Johnson's proprietary system to combat dryness and its accompanying discomfort - achieved by allowing the lens to retain moisture and its smooth texture while maximizing the transmission of oxygen to the eye from morning to night.